After the Intercontinental Exchange Inc (NYSE:ICE) concluded the deal with the Singapore Mercantile Exchange last year, it became the first non-Asian exchange to own a clearing house in the region. The company acquired the Singapore Mercantile Exchange and Singapore Mercantile Exchange Clearing Corporation in November 2013. After renaming them to ICE Futures Singapore and ICE Clear Singapore, the company decided to keep their licenses and announced its plans for the entities to operate as an approved exchange and approved clearing house in Singapore. 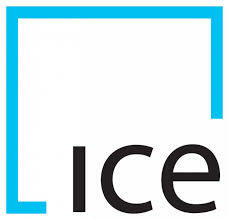 The Intercontinental Exchange Inc (NYSE: ICE) unveiled today that it plans operations at ICE Futures Singapore and ICE Clear Singapore to begin on March 17th, 2015. The products to be listed and cleared products at ICE Futures Singapore and ICE Clear Singapore will be announced shortly, as they are currently pending the approval of the Monetary Authority of Singapore (MAS). The Intercontinental Exchange Inc has also decided to leverage its repository technology in the region and ICE Trade Vault, LLC submitted a foreign trade repository application to the MAS. Intercontinental Exchange Inc’s operating arms in the region, ICE Futures Singapore and ICE Clear Singapore, will be headed by long-term industry veteran Lucas Schmeddes, serving as President and Chief Operating Officer, who previously worked at ICE Endex in the Netherlands which represents the company’s Dutch gas and power derivatives business. Serving as Vice President of ICE for the Asia-Pacific region is Jennifer Ilkiw, who previously held senior positions at the New York Mercantile Exchange and the MAS.